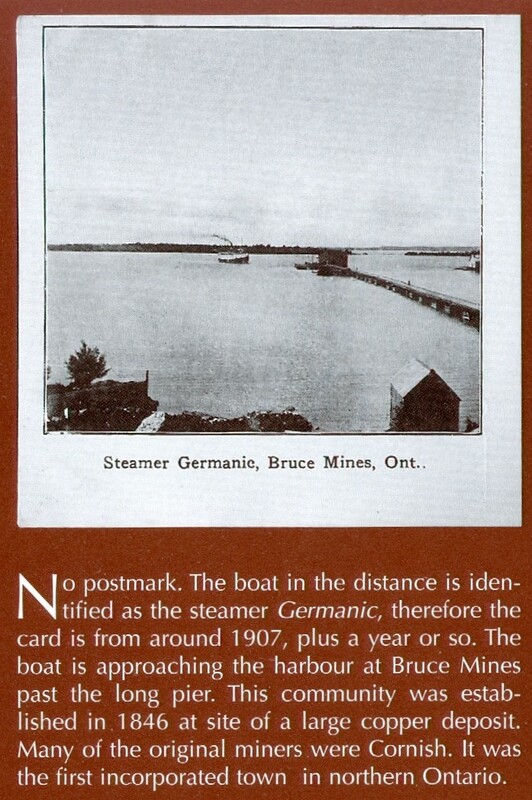 Town of Bruce Mines (Single Tier Algoma)Record Owner? Log in. 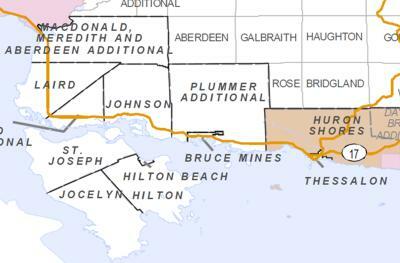 In 1846 the first mining claim was filed by James Cuthbertson. The following year the Montreal Mining Company started the first copper mine in Canada, shipping ore to Wales for smelting. 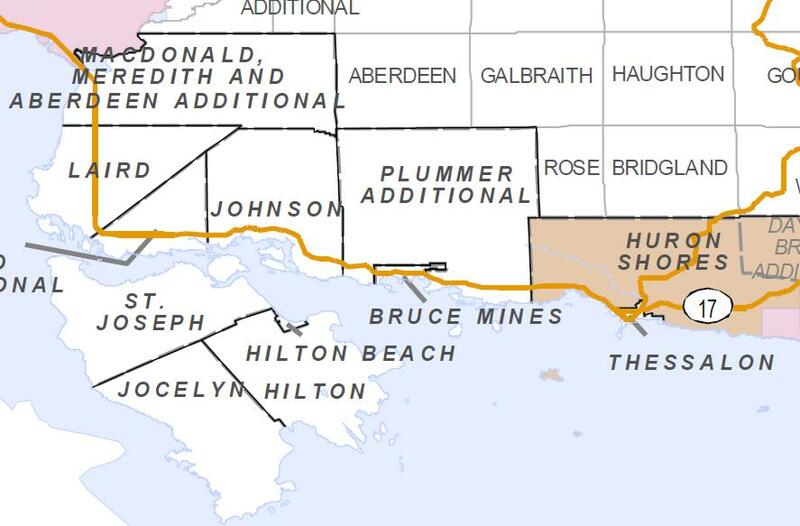 The mines were the mostproductive on the continent until American demand for copper ceased during the Civil War, forcing their closure in 1876. The town was named in honour of James Bruce, 8th Earl of Elgin and governor of the province of Canada 1846-1854. Have something to say about Town of Bruce Mines (Single Tier Algoma)?